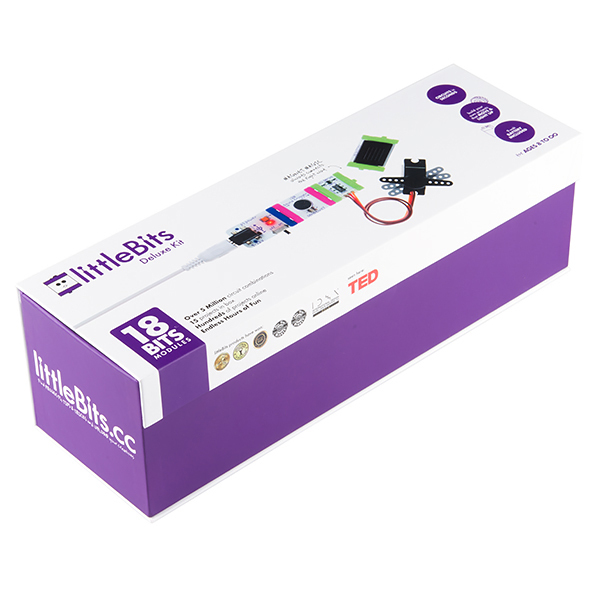 The littleBits Deluxe Kit contains everything you need to design and create large, powerful projects just by snapping a few magnets together. 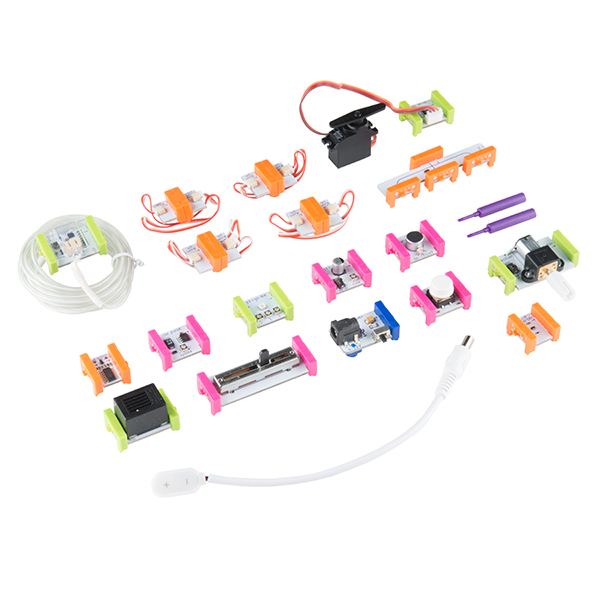 Included in this Deluxe Kit are a whopping 18 littleBits modules that can be attached together by the power of magnets, a 9V alkaline battery and cable, a motorMate to attach wheels or other objects to the DC Motor Bit, and a full-color instruction booklet with 10 fun projects to create. With this kit you will be able to easily make a multitude of projects including: making EL wire shine, making an easy to use alarm clock, or building a miniature DIY ambulance! It even comes in a snazzy cardboard box with magnetic closure.